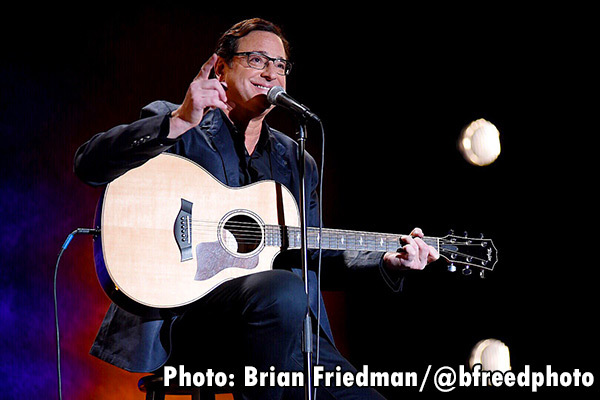 Bob Saget just filmed a TV special in Brooklyn at the Music Hall of Williamsburg. There has been a recent surge in stand-up comedy yielding big paydays; Dave Chappelle and Chris Rock just scored separate deals worth $20 million a special for their work. But Saget swears he isn’t doing this for the money. Matter-of-fact, to drive his point home, the actor told me he’s almost never had a major check in mind when seeking out or accepting a gig. “When I got ‘Full House,’ I just needed a job,” he recalled. “I got fired from a CBS show and I took the money that was offered. And then when I got (America’s Funniest Home Videos) I took the money that was offered and then it became number one and then you find out you get money. Saget’s career has sustained regardless of the motivation. That’s evident in the varying reactions he receives while walking around New York City. The comedian summed it up as “bizarre” and a “bipolar existence” in that people seem to enjoy both his family programs and his “soft-R” material. Saget loves doing both, and perhaps that’s all the motivation he needs. 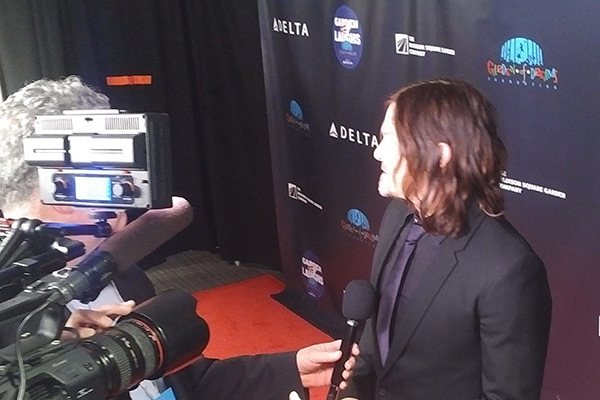 For Norman Reedus, one of the stars of “The Walking Dead,” his run on the hit AMC show has been rather unexpected. And while Reedus talks about it comfortably, he admitted that there are some scenarios that he is not fully accustomed to. Sometimes he doesn’t even have to leave Georgia to feel the love. When I asked Reedus who the most surprising public figure was to tell him that they enjoyed “The Walking Dead,” he responded with Jada Pinkett Smith. Of course after Reedus’ story on “Fallon” about talk show host Sean Hannity sending endless shots of tequila to him and Dave Chappelle once, the Jada Smith run-in will only rank as the second most-random tale he’s told the media this year. Reedus probably encountered a few more TWD fans at The Garden Of Laughs stand-up comedy show. The event featured performances by Jerry Seinfeld, Chris Rock, John Oliver, Tracy Morgan and Sebastian Maniscalco. “Saturday Night Live” star Leslie Jones and Bob Saget also performed at the benefit, which raised $2 million for The Garden Of Dreams Foundation to help kids through the tri-state area overcome obstacles. Reedus has called New York home for almost 20 years; his son attends school in the city and his mother taught class in the Bronx and Harlem. happy belated birthday, wayne brady! one of the three best cameos on one of the most prolific cable tv shows of my generation.